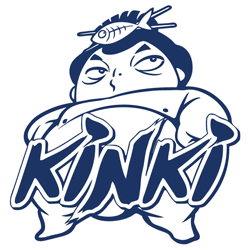 Subscribe to get deals from hundreds of merchants including the best of Kinki Restaurant + Bar! The Offers are only available via the ENTERTAINER with HSBC programme. For more information, visit hsbc.com.sg/entertainer The Offers are valid for dine-in only, unless stated otherwise. The Offers are not valid in conjunction with other promotions, privileges and vouchers. Prior reservation is required and subject to availability. HSBC is not the supplier of and accepts no liability for the goods and services provided by the Merchant involved in this Programme. In case of any dispute, the decision of HSBC and the Merchant shall be final. Discount is not applicable on service charge and taxes.. Please always check with the merchant on the validity of the promotion before purchase. The Offers are only available via the ENTERTAINER with HSBC programme. For more information, visit hsbc.com.sg/entertainer The Offers are valid for dine-in only, unless stated otherwise. The Offers are not valid in conjunction with other promotions, privileges and vouchers. Prior reservation is required and subject to availability. HSBC is not the supplier of and accepts no liability for the goods and services provided by the Merchant involved in this Programme. In case of any dispute, the decision of HSBC and the Merchant shall be final. Discount is not applicable on service charge and taxes. Valid till 30 June 2019. Not applicable during festive periods, special occasions, bottomless brunch, set lunches, executive set lunch, eve of/and public holidays, on-going promotions, discounts and vouchers. Payment by Maybank Mastercard only. Maybank TREATS General Terms and Conditions apply (PDF). Please always check with the merchant on the validity of the promotion before purchase. Promotion Period: 02/01/2019 to 30/06/2019. Not valid to festive, special occasions, bottomless brunch, set lunches, executive set lunch, eve of/and public holidays.. Discount Privileges, Voucher Redemption, Other on-going promotions.. DBS General Promotion Terms & Conditions apply, visit www.dbs.com.sg/dbscardstnc.. Please always check with the merchant on the validity of the promotion before purchase. Not valid to festive, special occasions, bottomless brunch, set lunches, executive set lunch, eve of/and public holidays. Valid till 30 June 2019.. Payment must be made with a Standard Chartered Mastercard Card.. Not valid during eve of and on public holidays, festive periods and special occasions.. Not valid with bottomless brunch, set lunches, executive set lunch, other promotions, promotional vouchers and in-house offer discount cards.. No splitting of bills are allowed.. The merchant reserves the right to amend the terms and conditions without prior notice. In the event of a dispute, the decision of the merchant is final and no further correspondence will be entertained.. Please always check with the merchant on the validity of the promotion before purchase. Not valid with bottomless brunch, set lunches, executive set lunch, other promotions, promotional vouchers and in-house offer discount cards. No splitting of bills are allowed. The merchant reserves the right to amend the terms and conditions without prior notice. In the event of a dispute, the decision of the merchant is final and no further correspondence will be entertained.